Christmas came early–so excited to receive my new order of Trims and fabrics. I will try get them all processed and up as soon as possible. I have often wondered what influences every years Tutu colour choices–obviously the Classical Ballets are still traditional, but what about for Festivals and Competitions? Fashion brings in new colour palettes throughout the year and shops tend to follow and stock colours as seen on the runways each season. The Climate has an effect as well on colours—hot climates tend to favour stronger and brighter colours. 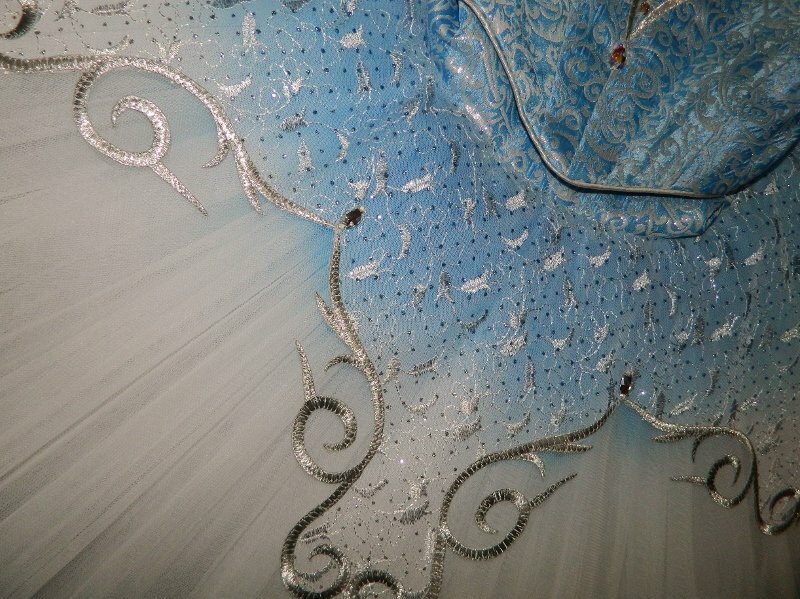 Working on the plate of a very bold Portuguese Ballet Tutu. I recently designed a Spanish style Tutu in collaboration with the client which was being danced in a very hot Country overseas. Deep Oranges, Golds and Blacks and embellishments were very dramatic and worked well with the passion of the music. Different countries have their own traditions and influences but many stay with the Traditional Ivory or White. It is fascinating to me when I am asked to design a Competition Tutu in the ‘latest’ colour trends as the season is busy passing and new colours are appearing before I can even begin or discuss the Tutu. Seasonal colour does play a part but there are still basic guidelines to remember when planning. It is never as simple as what colour you feel like having that year. Discuss what ideas you have with the Dance teacher and with the Student-all should be happy with the final choice.